Johnny Depp’s next project will find him working with acclaimed director Wes Anderson. Depp has been lined up to star in The Grand Budapest Hotel, alongside Owen Wilson. Anderson has plenty of artistic freedom at the moment, after his acclaimed comedy Moonrise Kingdom made a respectable $40 million at the box office. As the title suggests, The Grand Budapest Hotel will be set in Europe, but all Anderson will say at present is that "it is not family friendly". "I would say I did go from a movie that's, at least theoretically, meant to be made for an audience of children, which was Fantastic Mr Fox, to a movie that is about children whoever the audience is meant to be," Anderson said. "So there's at least some continuity between those two." Rumours suggest Anderson is assembling a stellar cast. Already associated with roles in the project are Bill Murray, Edward Norton, Jude Law, Jeff Goldblum, Adrien Brody, Willem Dafoe and Angela Lansbury. British cinema-goers will next see Depp in The Lone Ranger, a revisionist version of the cowboy story, made by Gore Verbinski. Depp plays a sardonic Tonto. Verbinski is at least familiar with Dep[p’s range of tics and accents, having directed him in the Pirates Of The Caribbean series. Whether he is allowed to play Tonto as a Native American version of Keith Richards remains to be seen. 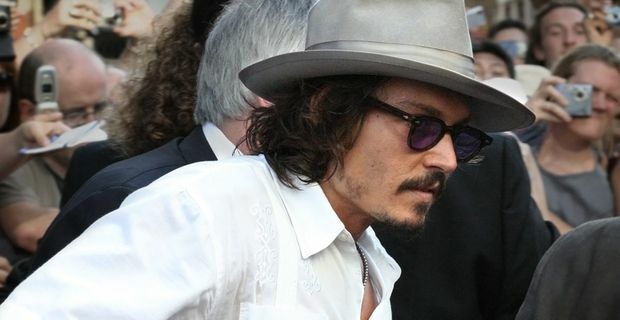 Depp recently split with his long-time partner, the singer and actress Vanessa Paradis. Press rumours have linked him to his Rum Diary co-star Amber Heard.